CHICAGO (WLS) -- Police are asking for the public's help locating a 16-year-old girl who has been missing from Chicago's Archer Heights neighborhood for nearly two weeks. 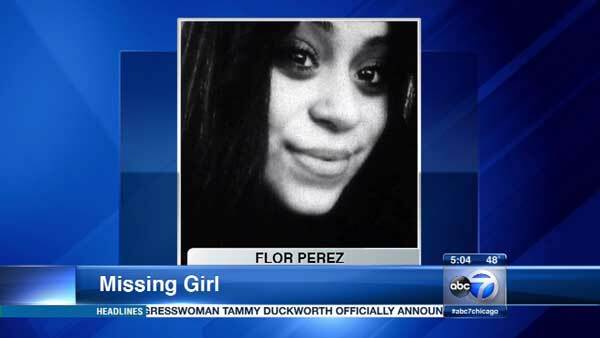 Flor Perez was last seen on March 18 at her home in the 4900-block of South Kostner Avenue. Police said she frequents the 3200-block of North Natchez Avenue. Perez is about 4 ft. 9 in. tall and weighs around 105 lbs. She has brown eyes and black hair. She was last seen wearing a black jacket, blue jeans and a sleeveless, maroon top.